I have been enjoying this dish at family dinners ever since I can remember. I have no idea where the recipe originated, but both my mother & grandmother used to cook it, and was great as a side dish to roasts & fish dishes. I actually had to measure my ingredients tonight so I could tell you how much I used! I am so used to just throwing everything in the pan willy nilly. 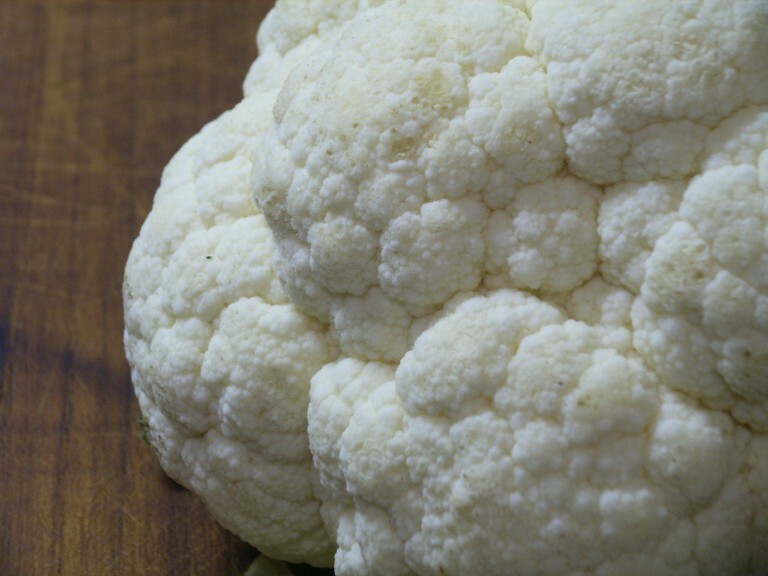 Cauliflower is such an underrated vegetable. I bought this lovely cauli for $2.75 at my local farmer’s outlet, where they only sell what’s in season locally for very reasonable prices. I actually bought this one two weeks ago, and found it in the fridge tonight as perfect as the day I bought it! I was very surprised; if it was a broccoli it would have been a slimy mess. 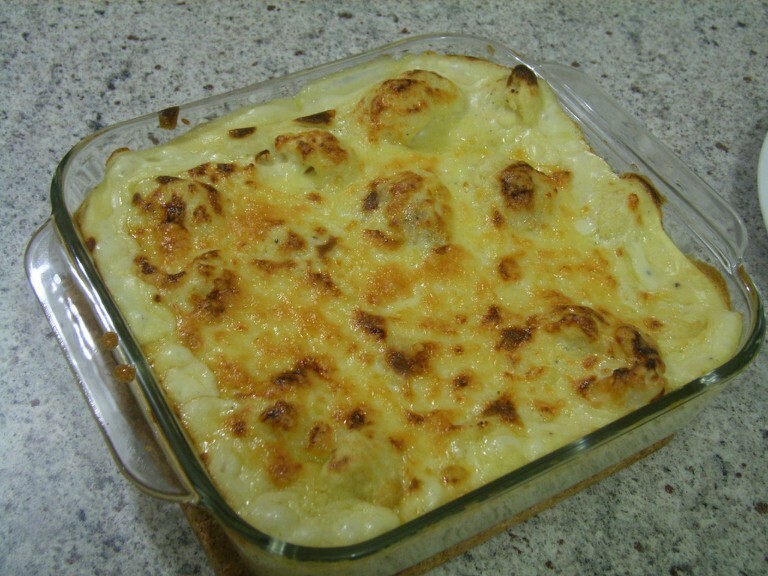 But there was my cauli, perfect as can be. 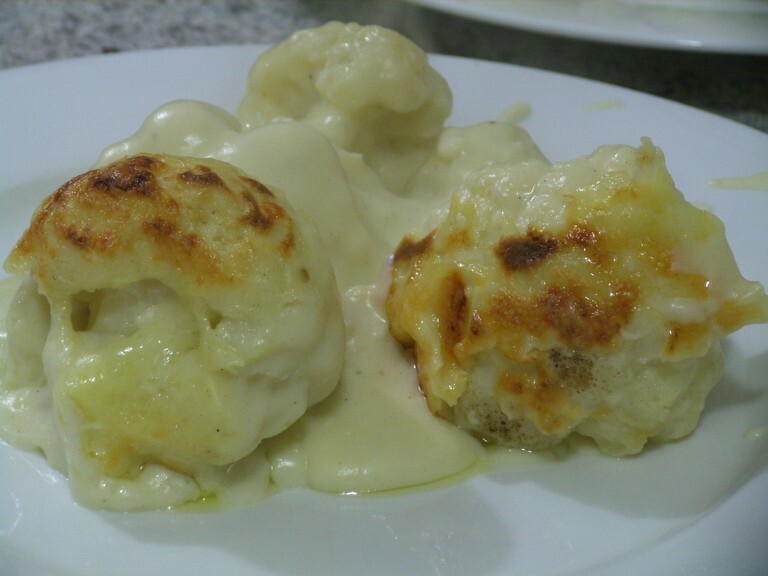 Cut your cauliflower into ‘trees’, I kept mine at the larger size for this dish. 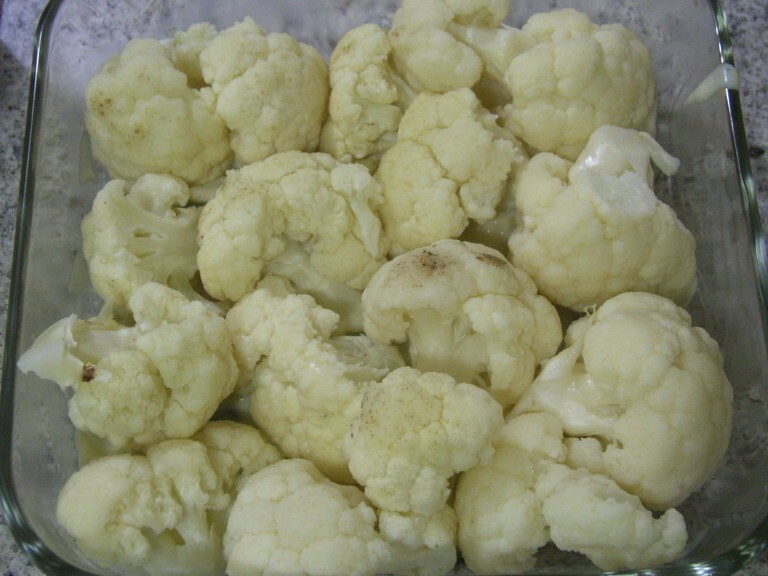 You will need to steam your cauli pieces until they are tender, because they won’t get cooked for long enough in the oven. I just did mine in the microwave for about 6 minutes. Pre-heat your oven to about 180-200 degrees Celcius. I actually used the non-fan-forced setting for this dish, to get the top nice & golden. 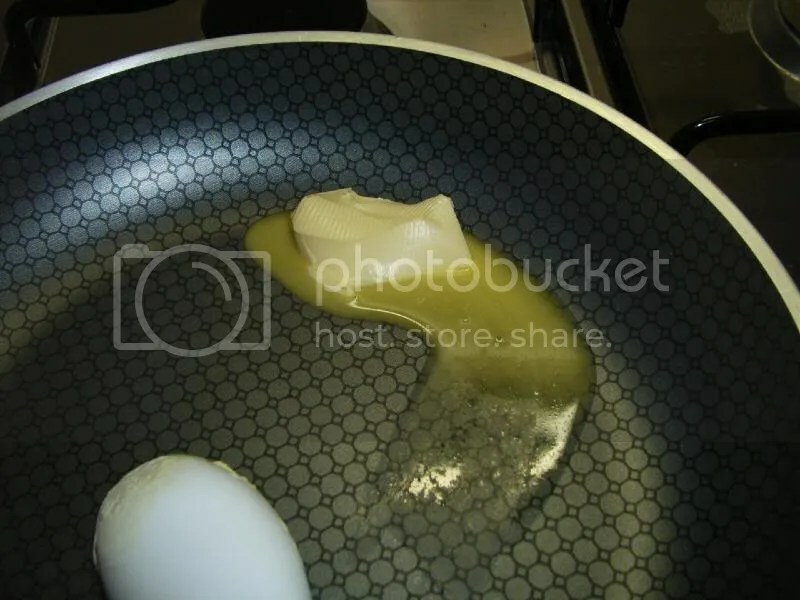 In a large-ish saucepan, melt the butter over a medium heat. Wait until it’s nice & bubbly, then sprinkle the flour over the butter. You might want to take it off the heat at this point, until you can get it all mixed together and scraped off the bottom of the pan. Return it to the heat and cook for a full minute, being careful not to let any area of the bottom of the pot alone for too long, as it will burn. Nice and smooth! 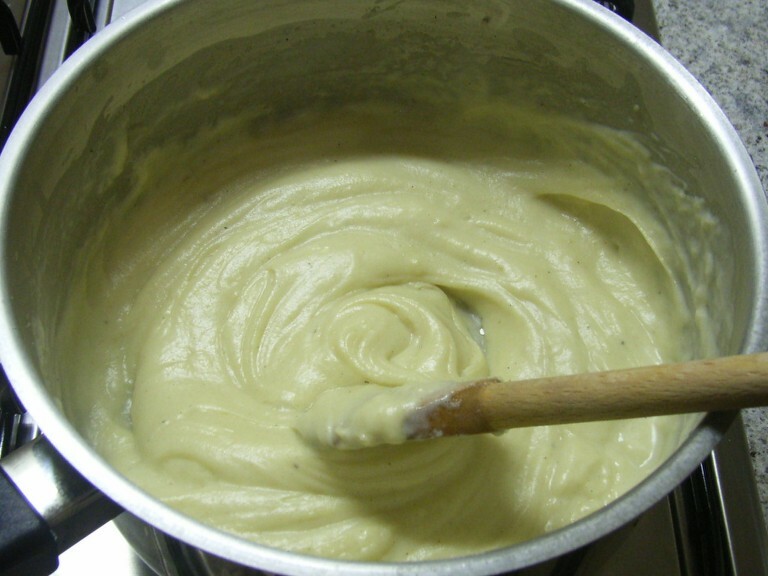 Keep adding milk until you reach your preferred thickness, the thicker the sauce the richer your dish will be. Season to taste with salt & pepper. Once your sauce is ready, get your oven dish and spread out a little sauce in the bottom of it. Then put in your cauliflower pieces (used tongs so I didn’t get any excess water into the sauce). 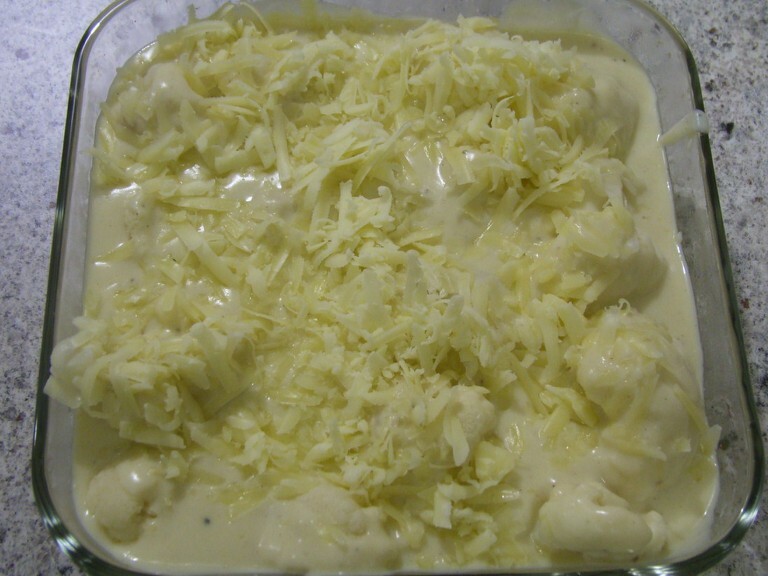 Pour the sauce over the cauliflower so they are smothered in sauce, and sprinkle over the grated cheese. Stick in the oven for 20-30 minutes, or until golden-brown. 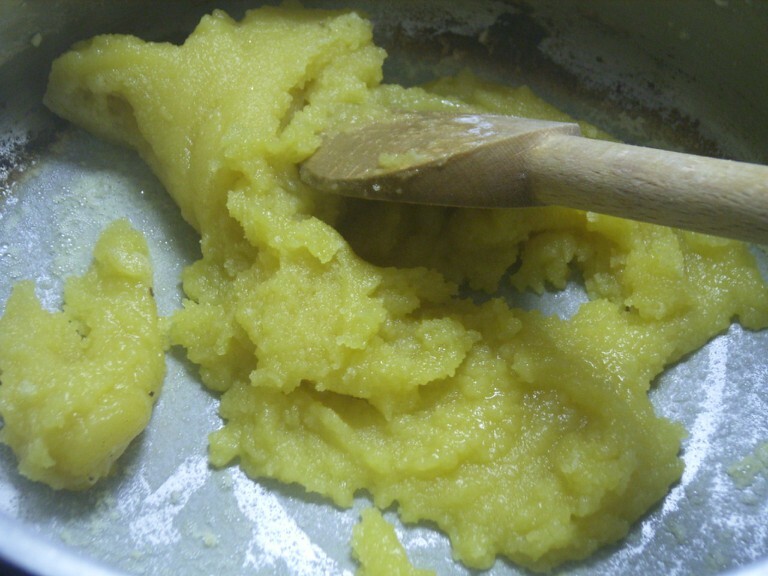 Welcome to my very own blog, and welcome to it’s first recipe. 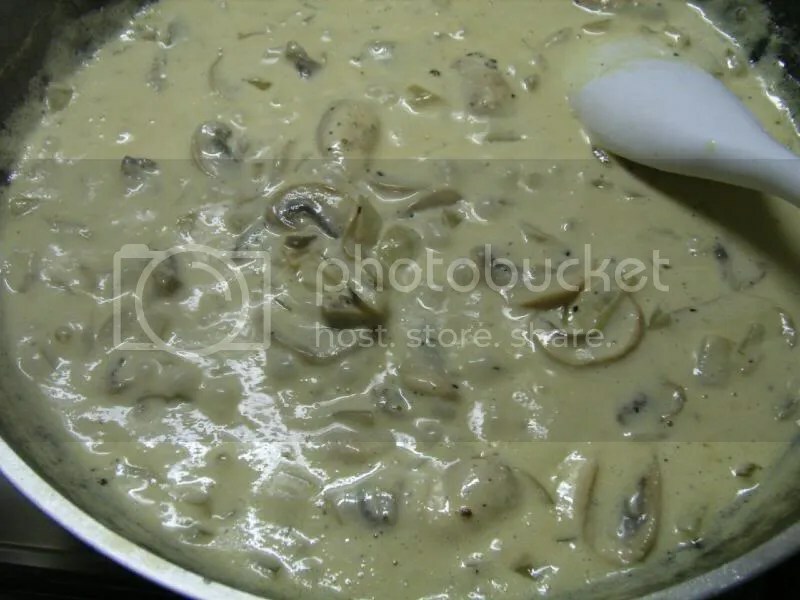 Anyone who knows me knows that I love a good cream sauce, and since I had time today to make some fresh pasta, what better sauce to go with it then a cream sauce. I will do a separate entry on making pasta, because I didn’t take any photos of it today, but it’s really easy with a hand-wound pasta machine. 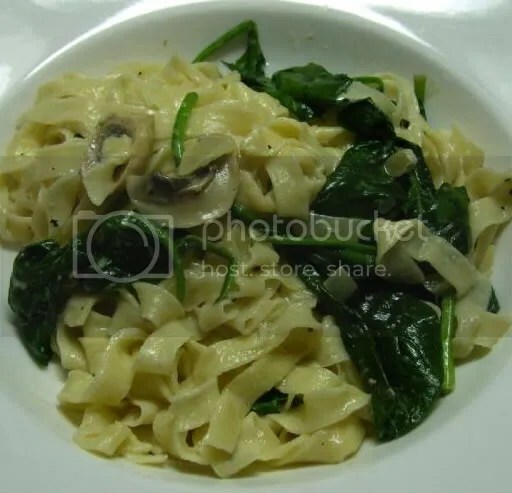 Making pasta in this way is really quick, and only takes a couple of minutes to cook. 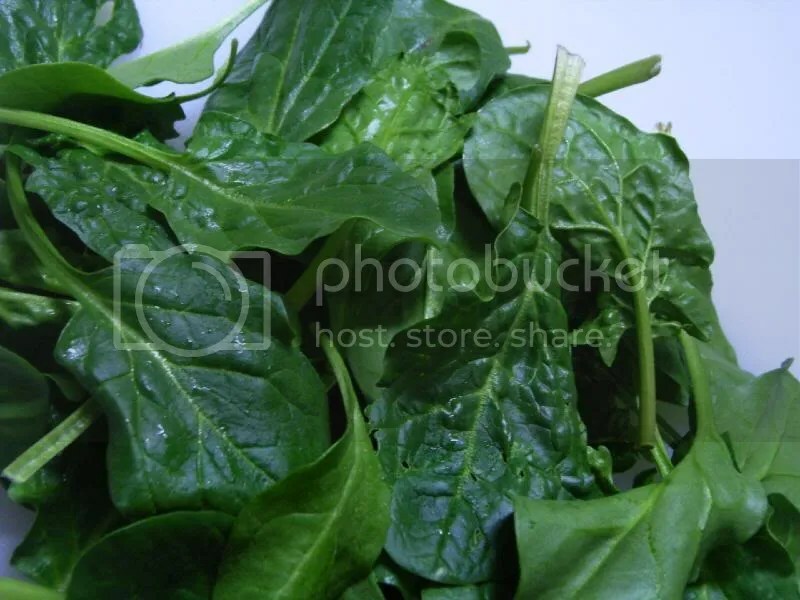 Delicious locally grown baby spinach. These leaves are grown about half an hour north-east of Hobart’s city centre and are really fresh. You’ll need a few good handfuls as it seems to just melt into your cooking. 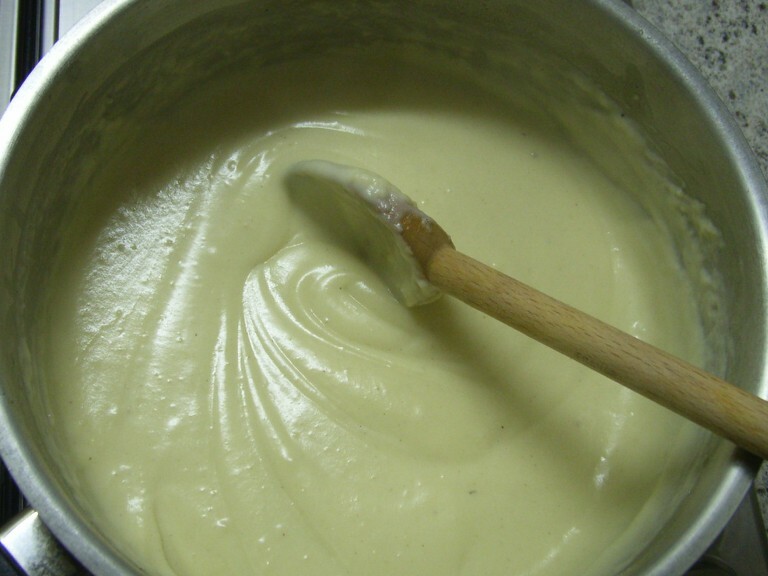 For cream sauces, I like to use butter to cook with rather then olive oil, as it compliments the other flavours and helps the sauce to thicken later. Lightly brown the onion. 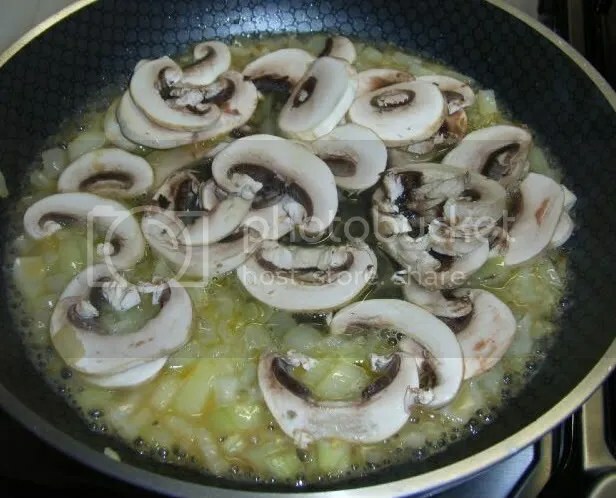 Add mushrooms and wine, and, keeping the heat on, reduce the volume of the wine by about two thirds. At this point I put my pot of salted water on to boil, but if you were using regular dried pasta you would have to put the pasta on to cook before you start cooking the sauce. Time to add the cream. Down here in Australia you can buy little cartons of longlife cream, I always make sure I have a stash in the fridge or cupboard as they are also great for whipping to use in any dessert. So, stir in the cream and cracked pepper (I actually add so much pepper to my sauce I grind it up in advance!) and salt to taste. Leave to simmer stirring occasionally while your pot of water starts to boil. Time to set up your bowls and cutlery, because once the pasta starts cooking you won’t have long to go. 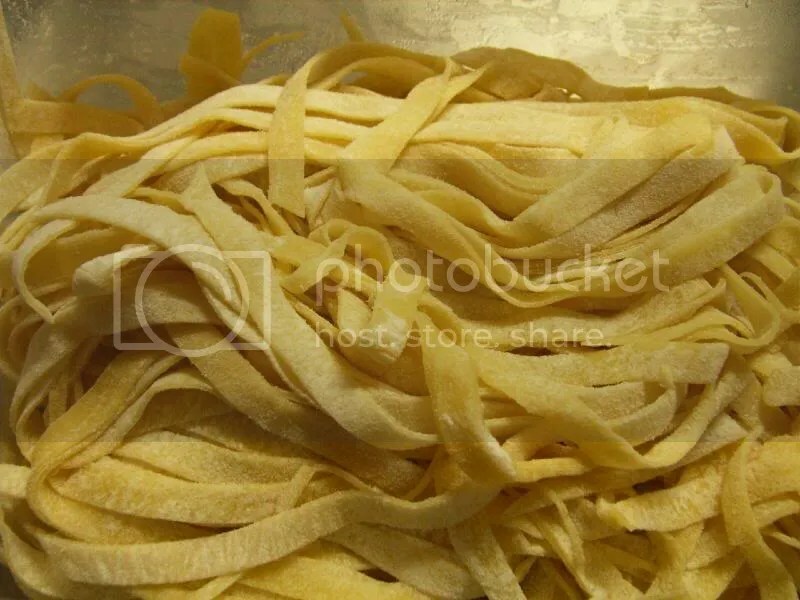 If using fresh pasta, tease it out a little before adding it to the boiling water, and add a little butter or olive oil to stop it from sticking together. I cooked my pasta for 2 minutes (after the water returned to the boil) and it was perfect. This 2 minutes is also the perfect amount of time needed to wilt the baby spinach leaves in your sauce. Add a handful at a time and fold into the sauce, it only needs minimal cooking. Drain your pasta and return it to the pot, and tip your sauce into the pasta, and mix with a spaghetti server. Serve and enjoy!